Have you ever asked yourself “Where does the fat go when we lose weight”? If you are like me, you’ve thought that it becomes sweat. This is true, but only 16% true. Sweat is just a tiny 16% of your fat’s journey. Where are the other 84%? Many people believe it’s converted into energy. However, if this was true, we would not need nuclear weapons just people who want to lose some weight. The answer to “Where does most of the fat go when we lose weight” is not sweat, nor energy. Surprisingly, the rest 84% of the fat becomes air. Yes, air. More accurately CO2 or carbon dioxide. If you are surprised by this, don’t worry. 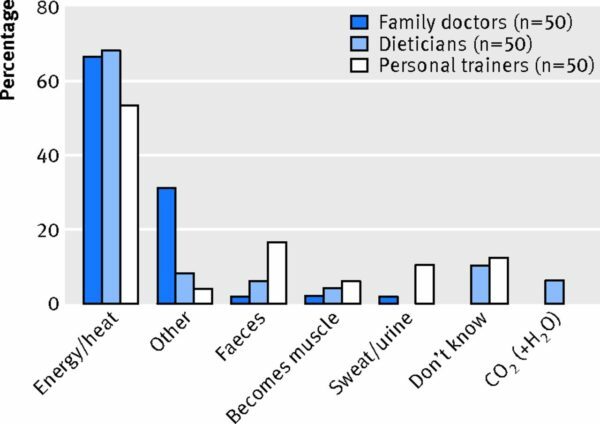 Most of the doctors, nutritionists and weight loss trainers have no idea. 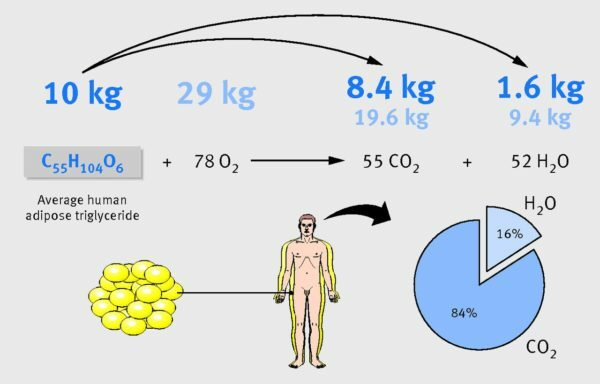 If you are like most people who would want to find a loophole and cheat the system, you would think “what if I breathe faster, will I lose more fat?” If you simply breathe faster without any activity, your body will not produce enough heat to break the CHO (fat) molecules from your body. The only thing you’ll lose is your consciousness as you’ll give yourself hyperventilation. The most astonishing fact about this, however, is how the CHO molecule forms in the first place. The ONLY way CHO can form naturally is through photosynthesis and the plants are the only ones “trained” to do this. First let’s break it down. What is CHO? C means Carbon, H is for Hydrogen and O stands for Oxygen. Plants take these 3 elements and bind them together through sunlight in a process called photosynthesis. All the food that we eat comes from this. Fruits, Vegetables, Meat, everything that we eat consumed the CHO molecules that the plants created. The energy that we consume through food is actually sunlight. The same sunlight that plants used to forge these elements together. We eat sunlight for energy! Isn’t this ASTOUNISHING?! So, in a way, eating meat is like eating second-hand energy that the animals took from eating plants. Or, if we eat predators, we take the energy that the hunted animals consumed from the grass they ate, before they were eaten by the predators, or third-hand energy in this case. This makes you think why natural, organic food is much healthier than eating a lot of meat and processed food. Eating food closer to that sunshine is all we need. Eat more sunshine!